Get the most advanced free joomla template for your future projects! Home / Blog / Get the most advanced free joomla template for your future projects! Rather than introducing a new product alone, this time the RSJoomla! 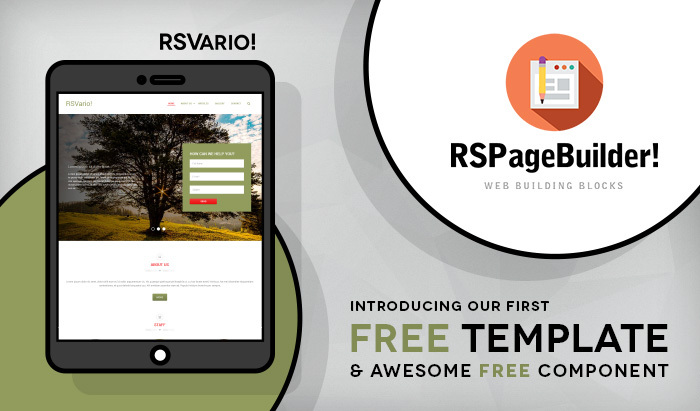 team offers you a special bundle of FREE components, more specifically, an awesome template: RSVario! and a stunning component: RSPageBuilder! that are meant to make your online experience much easier than it has ever been. Now it is much more easier to make the internet a prettier place and even if you're a supervisor, manager, office worker, home user, student, developer or designer, this super flexible template will definitely improve your performance and make your life easier. As you already know, RSVario! 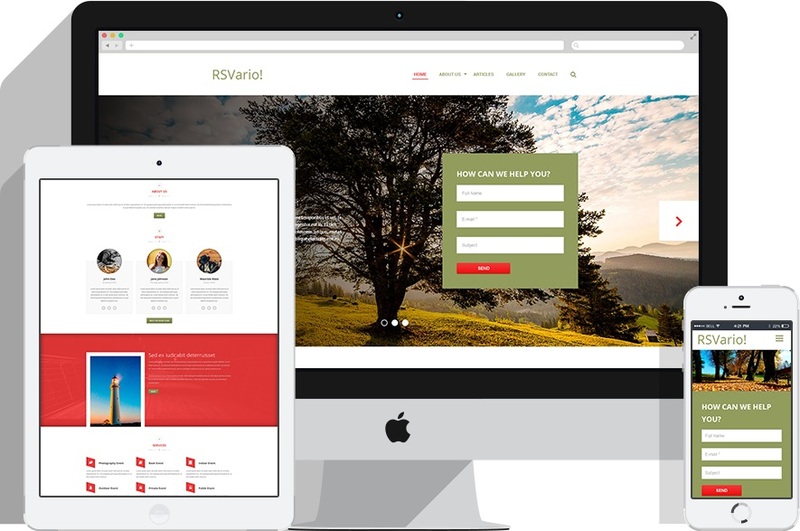 is also fully responsive as all our templates, and due to its integration with the latest RSJoomla! release: RSPageBuilder!, it has never been easier to build websites (either you'll be using it for businesses, creative agencies, product websites, blogs or portfolios. RSVario! 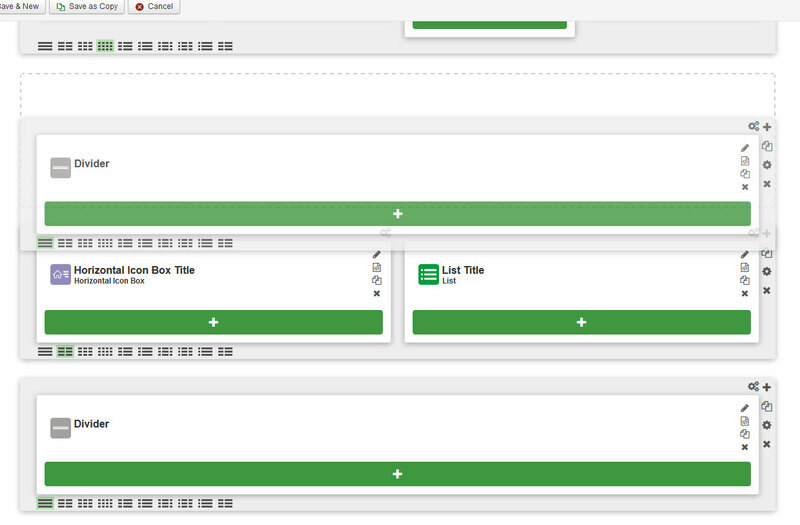 has a dedicated section for Sample Data in the template configuration page. 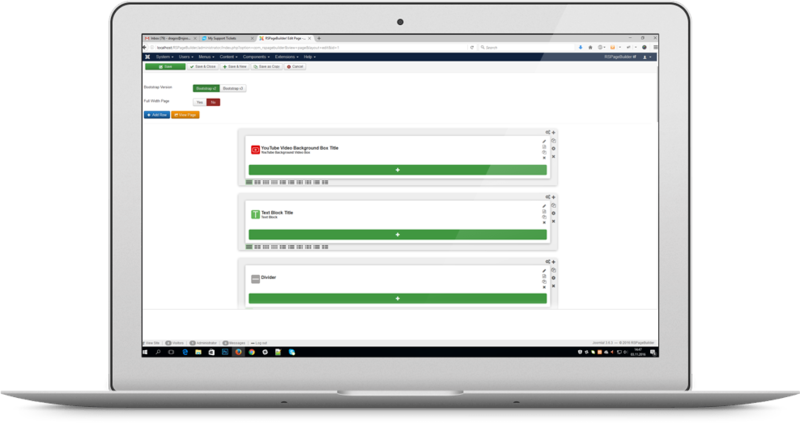 By selecting the sample data and clicking Install Sample Data button you will install the exact sample data that we have included on the template's demo website. 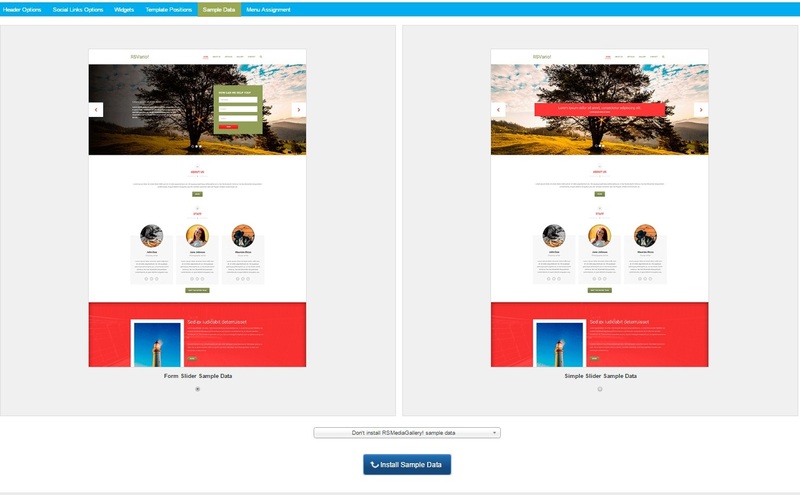 The proper way to modify the elements that the core Joomla site offers is to create Template Overrides. 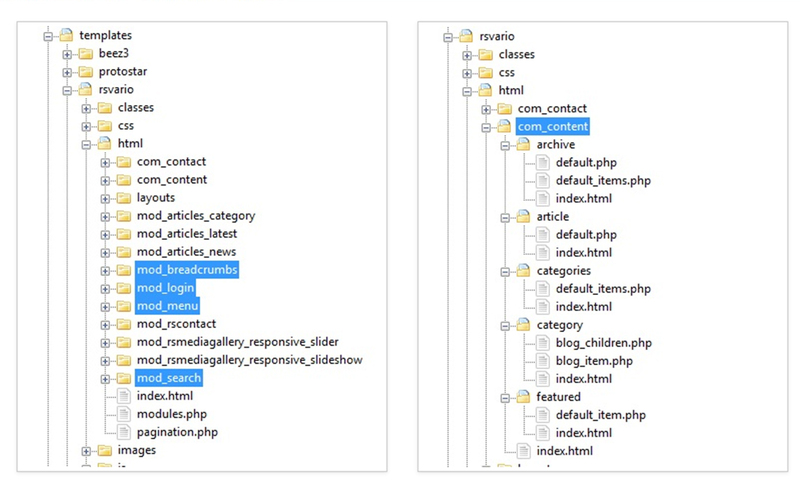 These files are already located in subfolders of the html folder of your default template, and have the same file name as the file in the core, with a different path. The latest component developed by RSJoomla! team will be making your work much easier. Your newly created content will accurately adapt to all mobile devices, ensuring your website is mobile-ready. RSPageBuilder! offers you complete flexibility in choosing different column numbers for each row, giving you the freedom to explore different layout possibilities. You will be convinced by its true potential, both in terms of slide quality and time saving, when it is customized to your website's design. No need to worry if you are using Bootstrap 2 or 3 in your website, the RSPageBuilder! has this covered and you can easily switch from one framework to another. The RSPageBuilder! interface is intuitive and easy to learn, you will be building beautiful and responsive content in no time. It's a simple drag and drop interface and building layouts does not require any kind of coding experience as it is generating all the highly efficient code for you. Customize each element using the RSPageBuilder! 's advanced design settings. I have installed template RSVario and plugin RSPagebuilder on my local computer on Wampserver. I see the logo is to small. Can you add a size px in the admin area so i can adjust the logo size on my main page. Unfortunately, you do not have the permission to view this category. Thank you for pointing this out. We've fixed this and the documentation is now properly accessible.